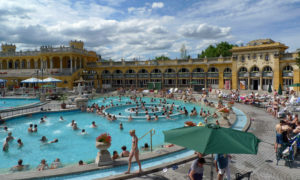 Budapest is known for many things, including its beautiful and numerous thermal baths. These thermal springs make Budapest the only capital city in the world with rich thermal waters that are said to have healing qualities. You can also find traditional Turkish baths that date back to the 16th and 17th centuries. These baths are scattered across the city and have unique qualities in all of them. You will find that they all also have different entry prices, opening times and even entry regulations. Here are some of our favorite Budapest Baths.